Positive Airway Pressure (PAP) therapy is the most commonly prescribed treatment for people suffering from obstructive sleep apnea. This sleep disorder affects an estimated 18 million Americans and is characterized by periodic breathing interruptions throughout the night. These pauses, or gaps, in breathing may be accompanied by choking or gasping, but rarely awaken the sleeping individual. People with OSA experience excessive daytime sleepiness and have an increased risk of serious health issues such as congestive heart failure, stroke, heart attack, high blood pressure and cardiac arrhythmia. What is Continuous Positive Airway Pressure Therapy? PAP therapy is used to keep the airway open during sleep by supplying air pressure through the nose. This air travels down the throat and the pressure prevents the upper airway from collapsing, which leads to snoring and interruptions in breathing. 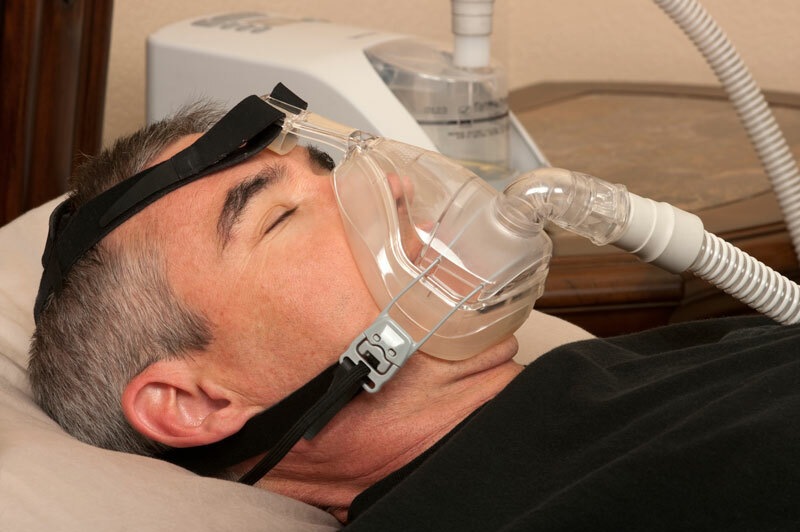 The most popular type of treatment is the CPAP (continuous positive airway pressure) device. This machine utilizes a face or nasal mask connected to a pump, which provides a positive flow of air powerful enough to keep your airway passage open. The device must be worn every night to be effective. While some find it inconvenient and uncomfortable, the results are typically instantaneous and worth the discomfort. Both machines and masks are available in a variety of styles and sizes, which can be geared toward your individual needs. Some people benefit from a nasal mask that covers the nose, while others require a full-face mask that covers both the nose and mouth. Nasal pillows, consisting of soft silicone tubes that are placed directly in the nostrils, are another popular option. An optional humidifier can help prevent nasal irritation and drainage by providing a steady flow of heated and moisturized air. Are There Alternative PAP Devices? A number of alternative PAP devices are available. Autofiltrating positive airway pressure (APAP) automatically increases or decreases air pressure throughout the night as needed. Bi-level positive airway pressure (BPAP) devices increase the pressure level when the people breathes in, and decrease it when they breathe out. These machines often help individuals who have trouble with the basic CPAP device.